This cooling, refreshing and hydrating Body Mist is infused with the delicate fragrance of the Nargis flower. This flower is from the Narcissus family and blooms for a few months in high altitudes in India. It has a beautiful soft floral scent. 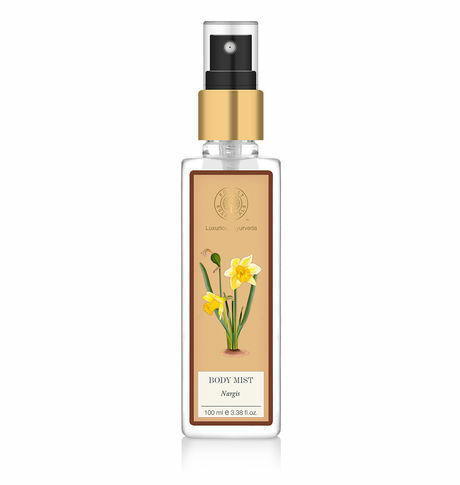 This lightly fragrant Nargis Body Mist refreshes, rehydrates and leaves the skin scented for hours. This Nargis Boy Mist gives long lasting aroma with seductive, floral and balancing effect on the senses while hydrating the skin.